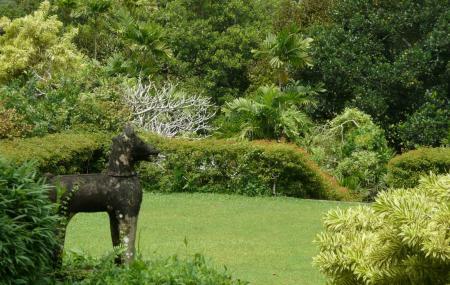 Around 10 kms inland from Bentota lie the house and gardens of Mr. Bevis Bawa, the brother of Sri Lanka's most famous architect, the late Mr. Geoffrey Bawa. The Brief Garden, as the gardens are also known as, is a wonderful place to get lost in! The house itself has a diverse collection of artwork on display. Snacks available at the Bevis Bawa house. How popular is Brief Garden? People normally club together Dara Gems And Jewellery and Bentota River while planning their visit to Brief Garden. Great piece of landscape architecture... It is a wonderful place to visit and have some experience of the nature married landscape. Really nice garden and even nicer house which will be shown to you. We really had fun with our 2 kids! Amazing place with a colossal garden full of small details. Also beautiful house with lots of art and cool pictures. A man made structure to admire. If going it's worth to go visit the house too as it has beautiful memories to see too. The garden has beautiful structures and statues to see only if interested in architecture.